Play all these chords with just one click! All the chords on this page are coming straight out of Sundog Scale Studio. 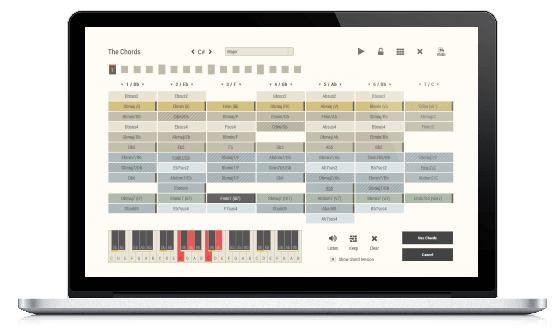 Play MIDI chords on your favourite synths with one click, create chord progressions, experiment with 300+ different scales, export MIDI files to your DAW, and much more. © 2013 - 2019 FeelYourSound. Made in Dresden with love.